Completing your high school education is one of the great ways to ensure that you are eligible for a job. But do you think there is hope for those, who for one reason or another fail to graduate from high school? Yes, there is. 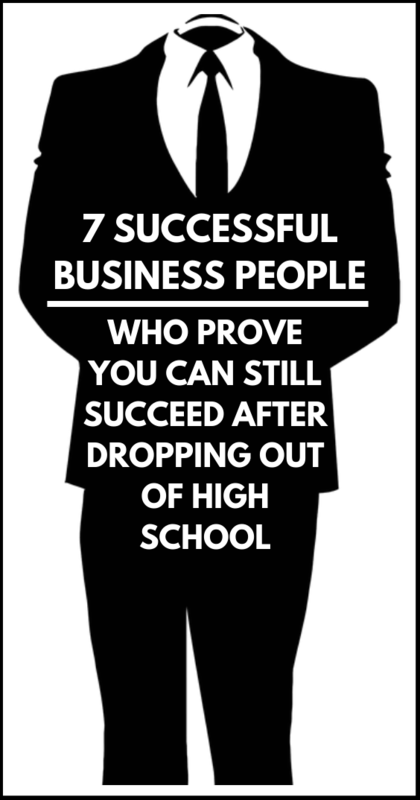 I can’t advise anyone to ditch their high school education but we can learn from these successful business people that you can still succeed after dropping out of high school. David Karp was not motivated by the studying environment at the Bronx High School of Science. He felt he could learn better on his own and dropped out of school at 15. With his parent’s support, he figured he was in a better position to pursue his passion in computer science at home. Pursuing his passion outside school seems to have worked well because, in 2007, he developed Tumblr, a blogging platform and social network company. In 2013, Yahoo acquired David Karp Company at a cost of $1.1billion. By this time, Karp’s net worth had risen to $200 million, and he is still the CEO of the company. Richard Branson’s dyslexia condition made it hard for him to excel in school. You can imagine what he had to go through being referred to as the dumpiest kid in school. So Branson decided to try out his hand in business and left his studies at Stowe School at 16. Strangely enough, his first business was to publish a magazine for students. Though the Student magazine was not lucrative, it was the only national magazine for students, by students. Later, Branson figured he could start a second business to support the poorly performing magazine. So he began to sell records through the mail. Venturing into the mail-order record business helped to launch Branson Virgin Records. According to Forbes, Branson fortune is worth around $4.9 billion. 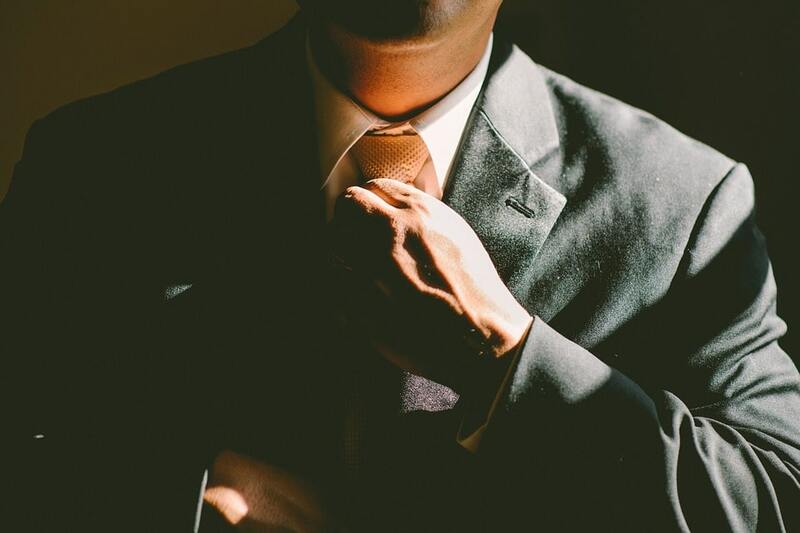 He is recognized as a global powerhouse, with his brand being part of about 500 companies. Quentin Tarantino dropped out of high school at 16. But he still became one of the most influential directors of his generation. After leaving Narbonne High School in California, the Oscar winner took acting classes while at the same time working in a video rental store. He abandoned the acting classes after two years and continued working in the store. The experiences in this store triggered his desire to start a career in the film industry. The discussions with his co-workers about customer video recommendations and his interest in the kind of films people liked to rent were a source of his motivation. Tarantino’s begun his career by writing the scripts for “True Romance” and “Natural Born Killers”. But his directing in the “Reservoir Dogs” marked his entry into a directorial career in 1992 and won him wide critical acclaim. He started being recognized as a leading director after directing “Pulp Fiction” two years later. His nomination in various Academy awards and winning two of them for “Django Unchained” and “Pulp Fiction” prove that he is one of the best screenwriters and directors. Quentin Tarantino’s choice to drop out of high school to a career in the film industry did not hinder his growth in the business. At 16, Walt Disney dropped out of high school to join the army. However, he did not make it to the army for being underage. His application was rejected. He applied to join the Red Cross, but this time round he lied about his age. The Red Cross sent him to France to work as an ambulance driver. Walt Disney had developed a love for cartoons at an early age. He drew cartoons for the McKinley High School’s newspaper. Some of Walt Disney’s cartoons also ended up on the side of his Red Cross ambulance. After returning to America, he got a job as a newspaper artist. His journey as an animator began when his job fizzed out. The rest, they say, is history. In his 65 years, he became one of the most influential figures in the entertainment industry. According to Forbes, Amancio Ortega is the third richest man in the world. It is hard to believe that this billionaire did not finish his high school education. He dropped out at 13 and started working for a local textile business as a delivery boy for shirts. In 1972, Amancio launched his own retail business to sell bathrobes and wife’s creations. His first retail store in Spain, Zara is now a successful brand in the global fashion industry. The brand produces and sells clothes for children, men and women. In recent years, Zara introduced a furniture line. Amancio has also invested in real estate business in different markets including Miami, London and Paris. He is estimated to be worth $25 billion. Francois Pinault decided to drop out of a private high school at 11 partly due to other students making fun of his poor background. After dropping out of school, he worked at his father’s lumber mill. The French business is the third-richest in the country and has accumulated a fortune of $8.7 billion. Francois Pinault owns various high-end fashion houses including Gucci, Alexander McQueen, Stella McCartney and Yves Saint Laurent. The multi-Grammy Award-winning hip-hop artist Jay-Z did not graduate from high school and he is now an accomplished businessman. He grew up in Brooklyn, one of the dangerous neighbourhoods in New York. Jay Z first job was dealing drugs before he found refuge in hip-hop. The hip-hop superstar first single was released through Def Jam Records in 1995. He stayed with the company until 2007. He continued to grow his music business by signing a deal worth $150 million with the entertainment company, Live Nation in 2008. Shawn’s business interests are diverse and include owning a record label, a clothing line and a talent agency. These people are the best inspiration for college students who want to be successful in his life. Read the stories of these people how they treat his life with obstacles and become successful. Thanks, for sharing this informative post with us.